This week’s episode of Torchwood: Miracle Day, The Categories of Life, has a new twist on death panels, taken from Nazi Germany. The episode speeds up the pacing of the series, but I want to reserve judgment how this plays into the full series until it has completed. I did have a couple of nitpicks about this week’s villain, Colin Maloney. He turned to quickly from one-dimensional buffoon to one-dimension villain, and it is not believable that he would be so shocked by a female physician. (The UK trailer for the episode is above). And while it probably won’t come as much of a surprise that Peter does in fact return, (Joked Noble, “Josh [Jackson] is our leading man of course he does [return! ]“) what sure as heck will is that Peter’s reappearance may not mark the return of the Peter fans (Not to mention the two Olivias!) have come to know and love over the course of the past three seasons. But just how different will be Peter Bishop 2.0 (Peternate?) be? Noble, not surprisingly, was playing coy. 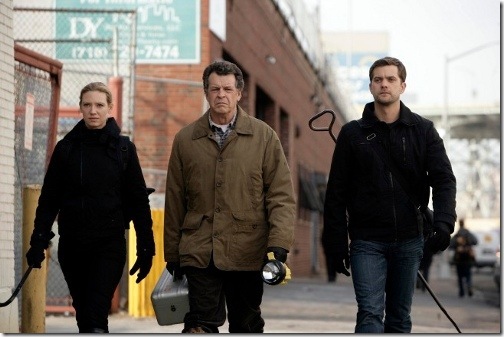 To the point that the only thing he would tease is that the start of FRINGE’s fourth season will be eerily familiar to fans of the show who has stuck with it since day one. 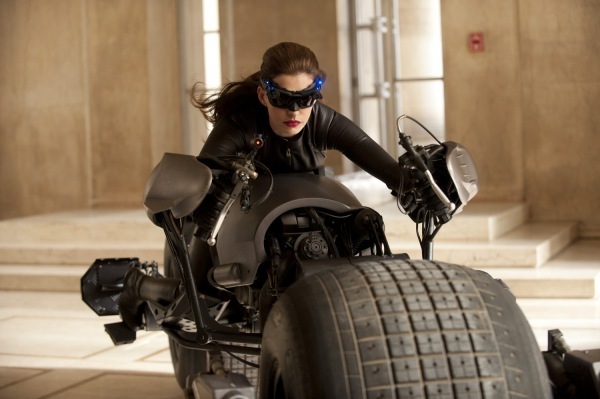 The first pictures have been released of Anne Hathaway as Catwoman. Olivia Wilde discussed her dirty scenes in Cowboys and Aliens. It looks like there really is a chance of a Friday Night Lights movie, taking place after the conclusion of the final season of the television show. I’m still waiting for the Veronica Mars and Gilmore Girls movies which were discussed after those shows ended. “We’re not doing a show about nerd culture. We’re doing a show about people we liked,” he said. “About extraordinary people,” fellow co-creator Chuck Lorre said. “Sheldon seems singularly devoted to science — only time will tell,” Prady says. There was also a lot of news about Community. Next season the cast will be taking Biology together. The stories will become more serialized. There will be more themed episodes, including one containing three different time lines. The vice-dean of Greendale’s air conditioning repair annex, played by John Goodman, will become an important and powerful character. Señor Chang will also return to a position of authority.